Books of Wonder bookstore in lower Manhattan is very nursing mother friendly. 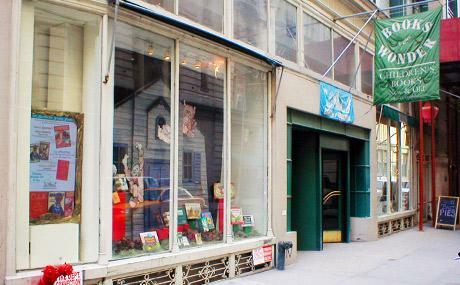 They are New York City's largest and oldest children's bookstore and accommodate mothers who need to breastfeed their babies on the store premises. Mom Marcy wrote: "Books of Wonder on 18th street is a wonderful place to nurse, too. Mid-morning you’ll find company among breastfeeding mommas aplenty on benches throughout the store."